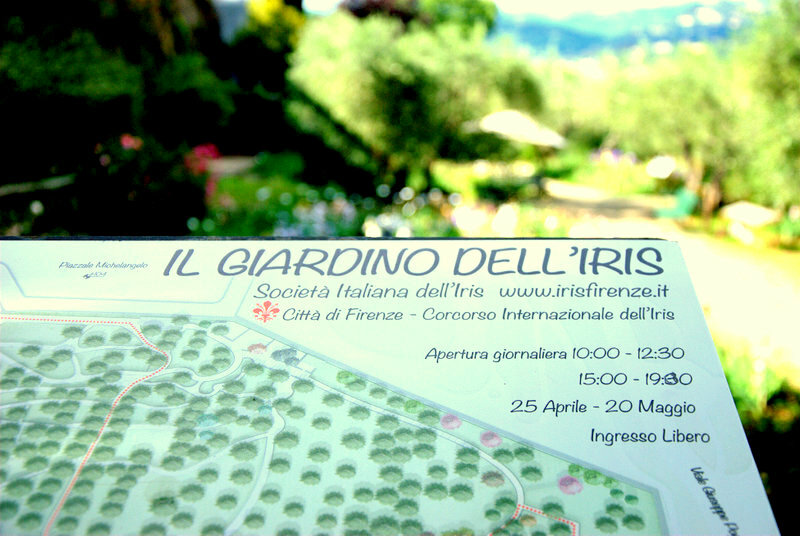 April 25th is the traditional opening of the Iris Garden, which hosts, on the hill of Piazzale Michelangelo in a romantic environment among olive trees and roses, the splendid blooming of more than 1,500 varieties of Iris. Not everyone knows that the symbol of Florence, displayed in its coat of arms, is the iris—not the lily, as many believe. Honoring the city flower, and promoting its culture and cultivation, is the aim of the Italian Iris Society, who created the Iris Garden. From the 1960s the Society manages the hill, from whose top you can enjoy one of Florence's most beautiful panoramas. The Society also organizes a yearly contest with hybridizers from all over the world, who bring to the garden the result of their research and of their love for this extraordinary scented flower. They then wait for three years to let the plant grow and bloom, before the contest crowns the winner. The plants who take part in the contest are on display every year between April and May, when the flowers bloom and explode in a true wonder of unique colors and scents. It is an incredible experience for those lucky ones who are in Florence during that period. In those weeks you can walk among the fields of the garden and admire the irises, which are grouped according to the variety and identified by a label written by the Society. There's also the wonderful water varieties, the Louisiana and the Japonica, in the garden's small lake.